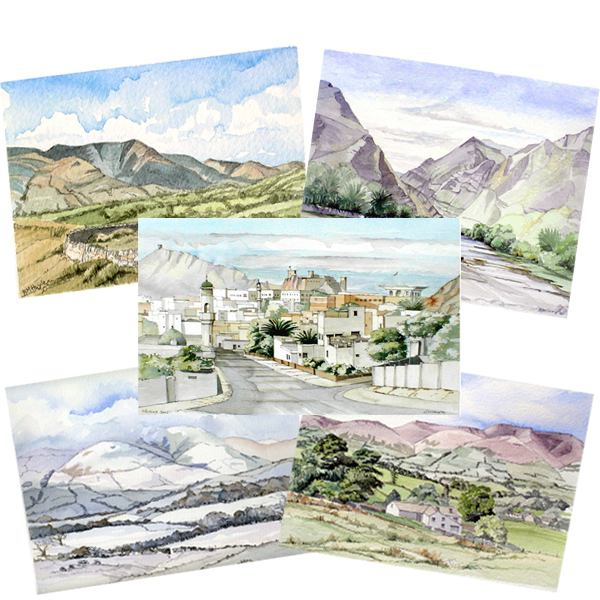 Many of our artist’s stunning watercolour paintings have also been made into prints. Several of the prints feature the rolling landscape of Sedbergh and Dentdale, as well as, the Langdale Pikes in the Lake District National Park, Cumbria. Some prints present the world further afield including Arabian landscapes and traditional Arabic architectural features. The prints come in two different sizes large (25.4 x 20.3 cm/10×8 inches) and small (20.3 x 20.3 cm/8×8 inches), the measurements include a mount. If you are interested in stocking any of our watercolour prints, please contact us for more information.